Day 1: Use Super Speed and Super Intelligence to study everything I can. Day 2: Disarm all weapons of mass destruction around the world. Day 3: Disarm all remaining weapons around the world. Day 4: Cleanup all landfills and dumps around the world. Day 5: Continue cleanup of garbage around the world. The key to this change the world strategy is Super Speed and Flight. Anyway, that is my plan for changing the world with the powers of the Man of Steel within a week. The potentials for his powers are limited only by the imagination, or at least by the limitations set about by story authors. You've read my previous posts where I worry about my financial stability. I know a lot of us are on the same predicament. But, truth be told, we need to ACT fast. Everything around as is constantly moving and changing and we're also aging. Recently, I came across Randell Tiongson's i-Con 2013: The No Nonsense Investments Conference. I think it is the first step to an awareness with personal finance. I've attended Randell Tiongson's short lecture before and the same goes for Chingkee Tan. And, this time I want to broaden my knowledge. This is a wholesome seminar because it covers Personal Finance by Randel Tiongson, Entrepreneurship by Chinkee Tan, Money Values by Dennis Sy, Investment Planning by Efren L. Cruz and Stock Market Investing by Marvin Germo. I'm especially interested on the last past because the Philippine Stock Market is currently upward trending compared to other countries. Everyone is curious about the new SM Aura Premier which just had a grand opening with Sarah Jessica Parker. Last weekend, the family decided to join the hype and went to check it out. SM Aura Premier can easily be sighted from Market Market and Serendra. 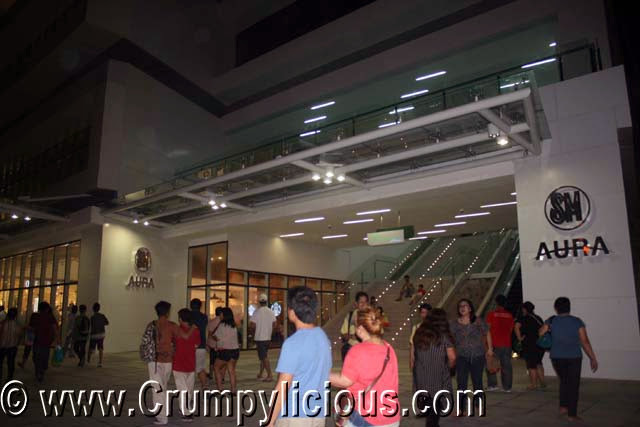 Upon reaching the mall, we could see a lot of pedestrians crossing to and from it. We entered the paid parking and spent nearly two hours just to find a vacant slot. But, of course, we didn't let that diminish our excitement. From the exterior facade of the mall, it looks long and wide. But, once we entered we found it to be quite limited in space and narrow. Some of the shops and all of the restaurants are still closed. Most shops are clothing lines. Uniqlo and Forever 21 occupies two floors. There is a Sky Garden on top with fountains which are not yet functional. 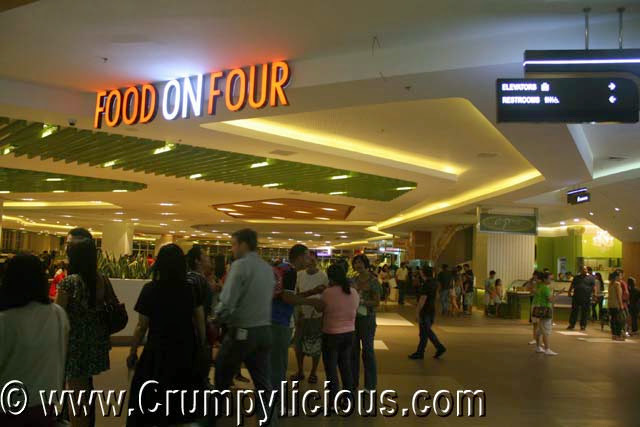 Every one had no other choice but to eat at the food court on Food on Four which is beside the Cinema Theaters. Good thing Brasas and Pepper Lunch was open. We chose to dine at Brasas spending an hour to line up and only to find out that only three items were available. We also dropped by Mother's Crepe to buy our favorite Jasmine Green Tea. Overall, it was a day of patience and waiting and perhaps an unrewarded excitement. If you havn't visited yet, I suggest you wait till everything is complete. 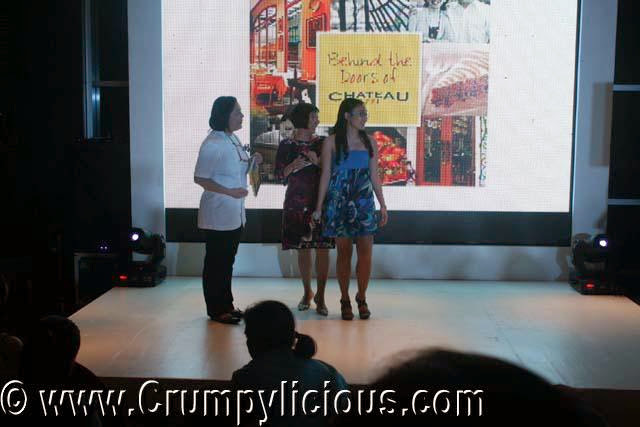 Last Saturday, I got an invite to celebrate Chateau 1771's 25th Anniversary and Behind the Doors of Chateau Book Launch. Being such a great fan of the 1771 Group, I just couldn't say no. 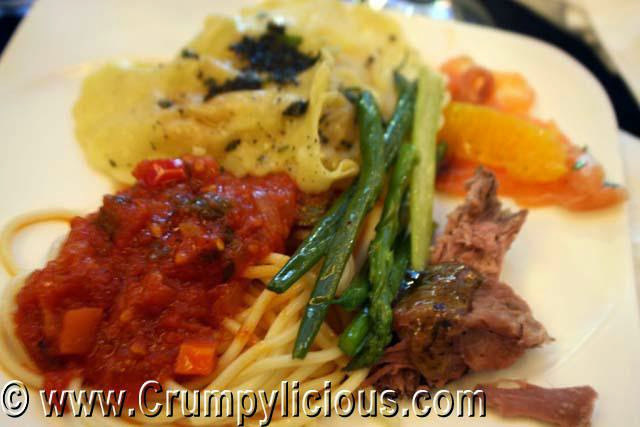 You could check my review on their Sentro 1771 and Wine Bar 1771 if you wish. 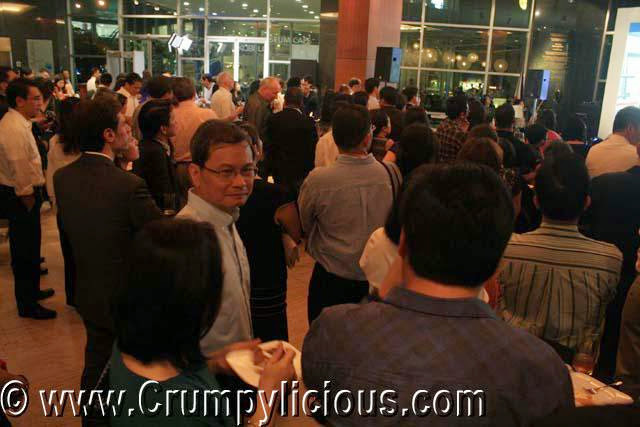 The party was held at Ayala Museum. It was a first visit for me. As expected, the 1771 Group sure knows how to throw a party. 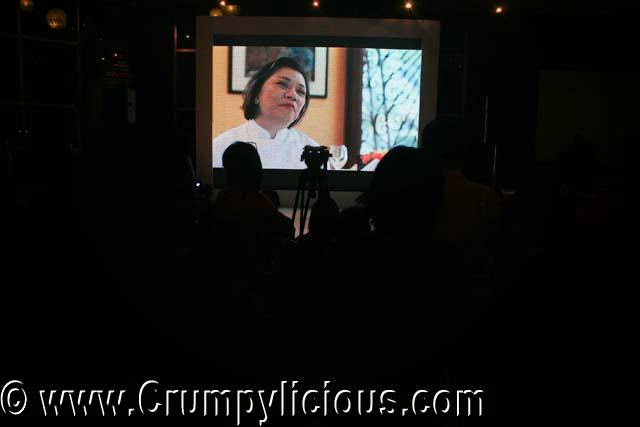 A short presentation of testimonials and documentation about pioneers Ricky and Vicky were shown. Then, the book Behind the Doors of Chateau was presented. The first publication is limited to only 1,000 copies and I'm one of the lucky ones to grab one. I also got to have them authographed by Vicky herself. I'm so happy! =) The book is really nice. It is a 224-page full colored book. I've already read through half of it and found it really engaging. It literally transports me behind the doors of Chateau and into the kitchen which I've never been to before. When I dine at the 1771 Group of Restaurants, I see perfection. But, little did I know that each dish holds a long story which we could only find out by reading the book. My mom is very pleased with the recipes on the end part of the book. I simply can't help but drool over the photos and certainly can't wait for my mom to try to make them. 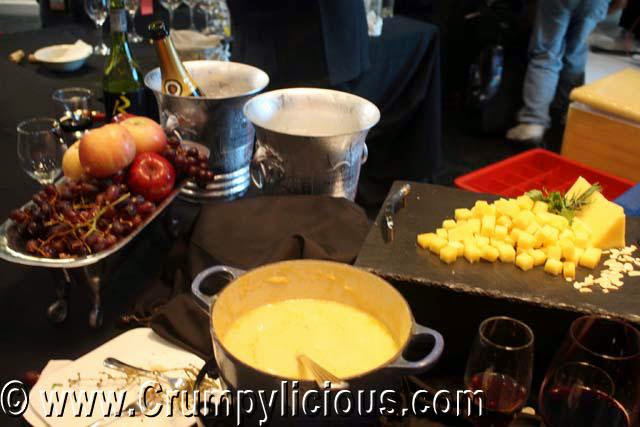 The party was overflowing with fine wines, frutis and cheese. 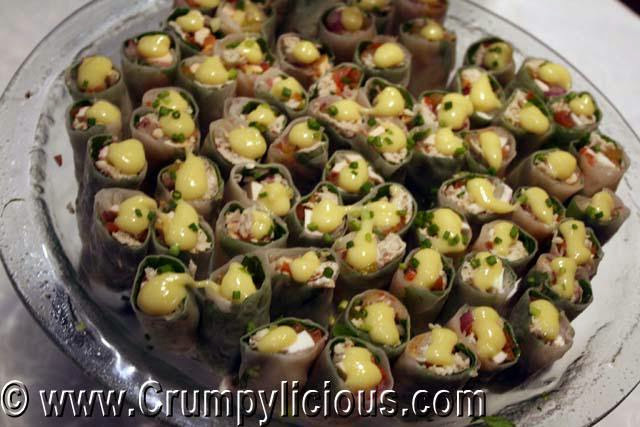 There was a wide spread of buffet from appetizers to dessert. This is my appetizer plate which I ate with delight. 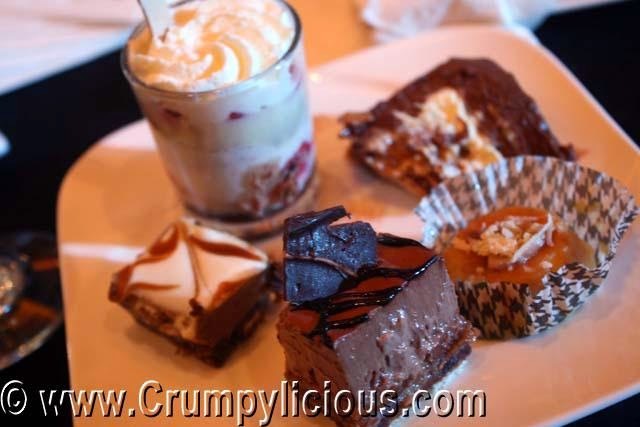 And, of course, my chocolatey dessert plate. Overall, it was a successful Chateau 1771's 25th Anniversary Party and Behind the Doors of Chateau Book Launch. I wish them well and look forward to their upcoming expansions and success. Truth be told I have not written anything on this blog for quite some time now. For the past few months, this seemed to me like an blank piece of paper which I stare at but can't begin to write on. I really don't know what or how to start with this again. When we were fifteen, Kurt and I used to have so many dreams, energy and positivity towards life. There's just so many things to share and look forward to. Five years later, perhaps, reality, time or age has caused us to change. But, believing in hope, we begun this blog with enthusiasm to document and share the things we found interesting in life. It started with much enthusiasm as we found it to be something we have in common. Because, we've really grown apart. I've held on to the goals we've always talked about since we were teens and he can't decided on what he wants in life. Like many things we've tried out, he found out that blogging is also not for him in just a few months. But, it didn't stop there. He always told me that if I motivate him enough, he might start to move again so I kept writing. I had a lot of fun learning and writing. It was an endless exploration and adventure for me until I lost it... Many things have happened that confused me and it took a lot of time before I began to sort things out. And, I still continue to. I'm very grateful to Kurt who has been my first partner in this blog and many other things which he never really wanted to do and found weird, crazy and stupid but did so because of me. If not for him, I may not have had the courage to start things on my own. Although he will not be writing here anymore, I'd like to take it from here. Like me, this blog has had a major identity crisis. But, I hope to get started writing again. Reaching the quarter life has caused me to re-evaluate my life. Looking back, I've been changing to-and-fro, wanting and waning, it's actually frustrating to see myself as I reflect upon things. I'm thankful to my family and friends who has always been there believing and motivating me to continue moving on forward. For now, I'm geared toward self-improvement in terms of widening my knowledge, spirituality and fitness and I'll try to write about them too.